The number of homes available for sale in the US has slumped by the fastest pace in almost 4 years. 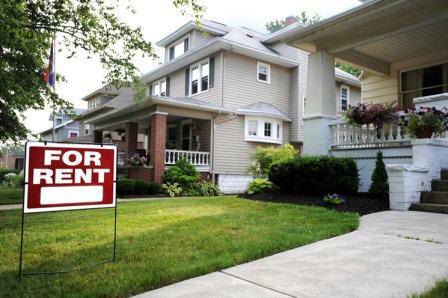 Zillow says there are 9% fewer homes on the market now than a year ago and a big part of the story is a rise in single-family homes switching to the rental market. Since 2005, the analysis shows that 6.2 million additional single-family homes have become rentals, with the housing crash exacerbating the issue. These homes tend to sell less frequently and building of new single-family homes has not offset the shift to rentals. “Thousands of single-family homes that were once bought and sold every few years prior to the recession have now been converted into rental properties by investors, trading hands much less frequently and further contributing to inventory shortages,” said Zillow chief economist Dr Svenja Gudell. He added that negative equity in some areas continues to restrict supply as owners can’t afford to sell. "On the demand side, simple demographic change is contributing to incredibly high demand as millennials reach their prime home-buying years and begin to enter the market in droves. This is coupled with relatively low levels of new home construction on the supply side insufficient to keep pace with demand, and what is built is largely priced beyond the reach of many of the first-time and entry-level home buyers in the market,” added Gudell.